Home / Reviews / First Impressions / The Best Honda Motorcycles of All Time? The Best Honda Motorcycles of All Time? Honda is one of the more popular and successful motorcycle brands. The company has a storied tradition of innovating for both on-road and off-road performance. In fact, it’s not unusual for certain Honda motorcycles to be seen as the bar by which other motorcycles in their respective class are measured. What’s the best Honda motorcycle of all time? Two Hondas that come to mind immediately are the 1987 Honda CBR600 F1 Hurricane (ancestor of the 2013 Honda CBR600RA) which set the bar for sportbike motorcycling, and the 1969 Honda CB750, which set the new standard for motorcycles and is widely recognized as a classic. Honda launched the CBR600 F1 Hurricane in 1987. It was the motorcycle that first made many of us want to get in to motorcycles. The Hurricane was the first inline four cylinder fully faired motorcycle that Honda had ever produced. The liquid cooled, 16 valve, DOHC, six-speed motor put out 85 horsepower and 44 lb ft of torque. The Hurricane set the bar for where supersport motorcycles had arrived. When we ignore the lack of fuel-injection, ABS, aluminium frame, or carbon fibre, the average supersport of today isn’t far ahead of the F1 Hurricane as far as motors are concerned. There have been so many great Honda bikes over the years that identifying the best ever is perhaps an impossible task. 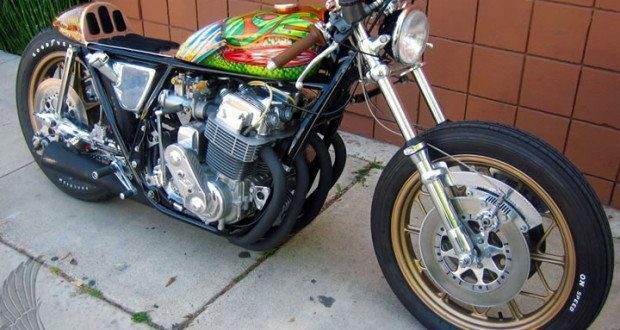 Nevertheless, the CB750 is the pick here, and certainly a bike that most fans would include in a top five list for Honda. The CB750 is not particularly flashy, but it defined the Universal Japanese Motorcycle (UJM) standard style era and is the grandfather of all supersports. Honda’s CB650 simply performs with consistency and delivers on those tenants upon whom Honda has built its name: durable, reliable and sensible. Honda’s introduction to overhead camshaft inline four cylinders has been the standard in motorcycle racing since 1969. It speaks volumes that the model is included in the AMA Motorcycle Hall of Fame of Classic Bikes. The CB750 was rated the Discovery Channel’s Greatest Motorbike Ever and is in the United Kingdom’s National Motor Museum. At stock, it delivers 68 hp at 8,500 RPM, 44 lb ft of torque at 7,000 RPM and have a top speed of about 201 kph. For the everyday motorcyclist, that’s more than enough. The every day rider also won’t need a degree in rocket science to maintain and repair it. 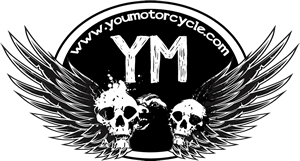 In fact, another cause for the motorcycle’s popularity the fact that many of the parts are readily available and at a reasonable price. 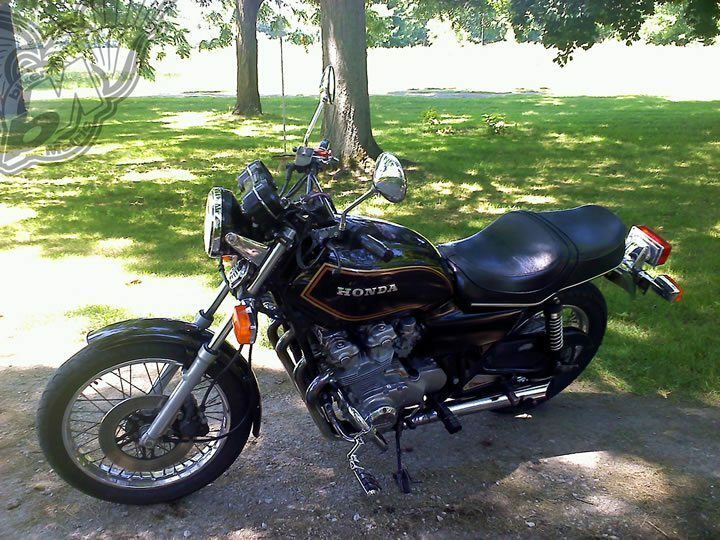 The lasting popularity of the CB750 is as practical as it is romantic. The CB750 style holds up; some would even say it has aged like a fine wine. Retro is in and modifying an old UJM is all the craze. The CB750 still performs well, has a reputation for lasting forever and, is easy and practical for the average motorcycle owner to maintain and repair. 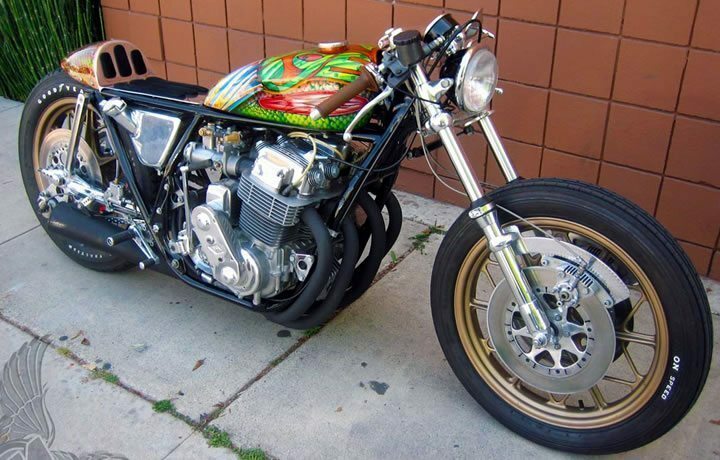 Most importantly, however, the CB750 is fun to ride, and in the right hands, it can keep up with machines it has no business competing against. It’s a piece of motorcycle history.